Andy Murray lost 5-7, 6-2, 4-6, 4-6 to Spain's Fernando Verdasco in US Open second round. 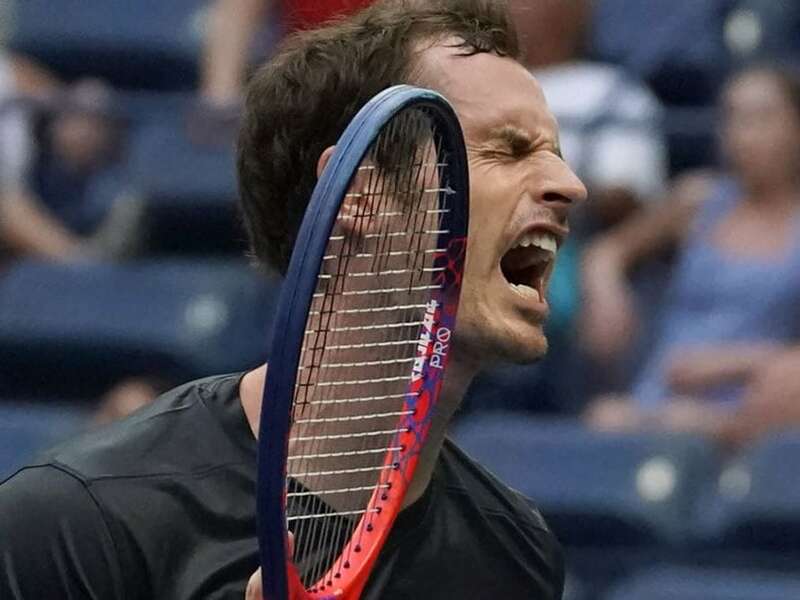 Stan Wawrinka survived searing heat and a spirited Ugo Humbert to reach the third round of the US Open on Wednesday as fellow former champion Andy Murray's return ended in the second round. Wawrinka, unable to defend his 2016 Flushing Meadows title after undergoing two knee surgeries last year, said he wasn't surprised at the challenge produced by 139th-ranked Humbert, a left-hander who was playing his first tour-level event this week after a dominant summer on the developmental Challenger circuit. "I knew it would be a difficult match," said Wawrinka, who was pleased to find himself feeling fit after prevailing 7-6 (7/5), 4-6, 6-3, 7-5 in three hours and 21 minutes. "My level is there. 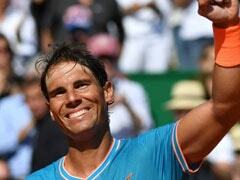 I'm playing really good tennis," added the Swiss, who will face Canadian Milos Raonic for a place in the last 16. "I think there is a good chance that I'm playing better the next round." He gave himself a mixed review after a 5-7, 6-2, 4-6, 4-6 loss to Spain's Fernando Verdasco, whose only win over Murray in 14 prior meetings was at the 2009 Australian Open. 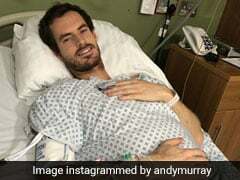 "I think some of the tennis I played today was some of the best I've played since I had the surgery or since I came back," said Murray, who was irked to surrender the first set after holding a set point, but pleased to have enough in the tank to push Verdasco through five break points in the final game before the Spaniard converted his third match point. 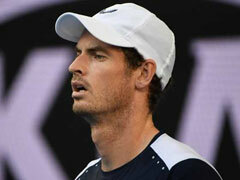 "There were too many ups and downs for my liking," Murray said. Verdasco certainly wasn't surprised by the "ups" and said even a limited Murray remained dangerous. "He's an unbelievable player, so talented. 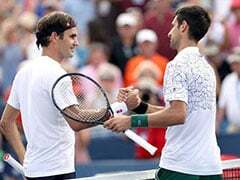 You know no matter how much his hip hurts or whatever, he's going to fight and he's going to put all the balls he can in and run," Verdasco said after earning a third-round meeting with yet another former champion, third-seeded Juan Martin del Potro. 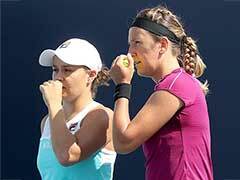 Organisers again implemented an extreme heat policy that allowed both men and women a 10-minute heat break in matches extended beyond straight sets. 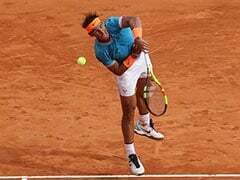 World number one and defending champion Rafael Nadal was spared the worst of the conditions, although it was still muggy when he capped the Ashe Stadium action against Canadian Vasek Pospisil. Stefanos Tsitsipas, the Greek 20-year-old who came in with high expectations after beating four top 10 players en route to the Toronto Masters final, said the heat took a mental as well as physical toll. "You don't have fresh air to breathe -- you breathe this heat that's coming, the moisture that's in the air. 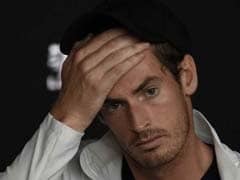 So you feel like you are empty," said the 15th-seed, who was undone by 64 unforced errors in a 6-4, 6-3, 4-6, 6-3 loss to Russian Daniil Medvedev. Medvedev, who won his second ATP title of the season at Winston-Salem last week, booked a third-round meeting with 20th-seeded Croatian Borna Coric, a 7-6 (7/4), 6-2, 6-3 winner over Spain's Roberto Carballes Baena. 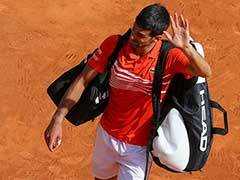 Fifth-seeded South African Kevin Anderson, runner-up to Nadal last year and a runner-up to Novak Djokovic at Wimbledon, made quick work of France's Jeremy Chardy, 6-2, 6-4, 6-4. He'll face another American, Taylor Fritz, who advanced 6-3, 3-6, 6-3 when Australian opponent Jason Kubler retired.